WATFERFRONT LOTS NEAR MARKSVILLE FISHING HUNTING. Asking price is $14,000 per lot. Owner Financing Available. Need extra income? Here it is. 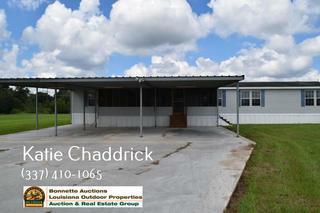 Located 1075 Prison Road, Cottonport, LA, near major housing complexes. Facility has 6- 8x10 & 6-10x12 storage units. Great income opportunity! Right outside the Columbia, La. city limits and on La. 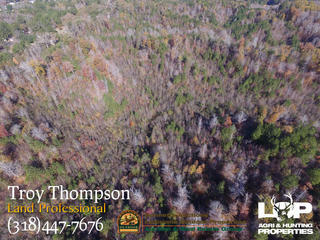 Hwy 849, this 92+/- acre tract is covered in thick volunteer pine and hardwood regrowth which provides excellent hunting opportunity. 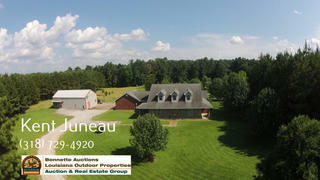 Asking price is only $975.00 an acre. 13+/- acres of river frontage on the Atchafalaya River at Macrae, LA with home & timberland parcel. 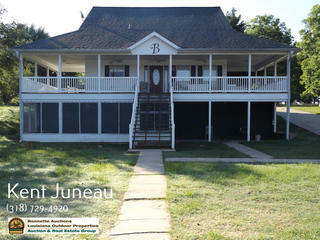 This tract features a 2005 Regal 30’x81’ 2,597 sq.ft. double wide mobile home with a metal shop. Nestled just inside the southern Avoyelles Parish line, north of the community of Big Cane, is 90 acres of some of hunting land. This property has 53.7 acres enrolled in CRP at a rate of $88.17 per acre for one more year. 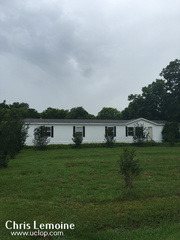 Custom 2015 three bedroom two bath single wide home for sale in Pine Prairie. 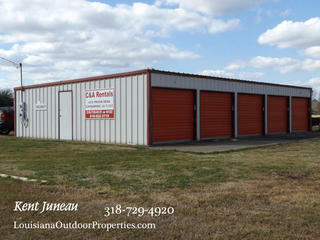 This property is located 11532 Memorial Highway Ville Platte, LA 70586. Bayou Chicot/Pine Prairie school district. Built in 2006 this jewel sits high & dry on the bank of the beautiful Red River, located in 5th Ward off Hwy 1195 just minutes from Marksville, LA. 2 bed 2 baths with living & kitchen is fully furnished with all appliances & furniture. 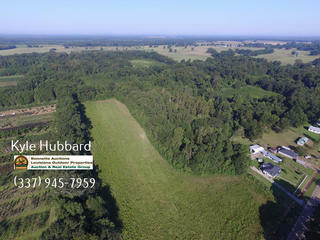 This 80+/- acres improved pasture is Bermuda fenced and cross fenced, underground water, and shade trees. Features 5 pastures, work pens, equipment barn with 8 stalls for equipment, hay barn, dog pens, plus another 44 acres leased pasture available. 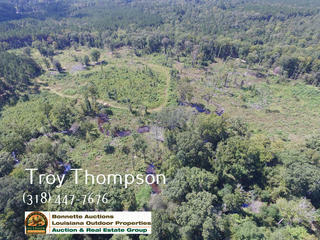 This lovely lot of .54 acres is located high above the Red River in Avoyelles Parish near the Fifth Ward community. The lot is very high in elevation and has a commanding view of the river. 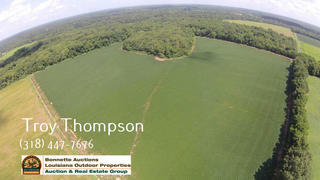 Located almost in the middle of the parish, this 40+/- acre tract has many potential uses. It consists of roughly 33 acres of open ground currently in soybean production and roughly 7 acres of woods and slough that has duck hunting potential. 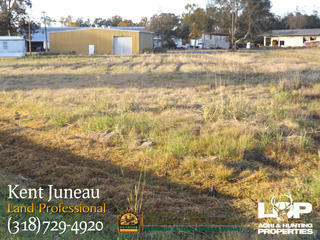 This .705 acre tract is located within the corporation limits of Mansura, LA, fronting Hwy 114 (Leglise Street). This would make a great place for your next home or mobile home. This 2003 double wide features an open concept living and kitchen area with a real wood burning fireplace. The master bathroom features a huge walk in closet, garden tub, shower, and double sinks. 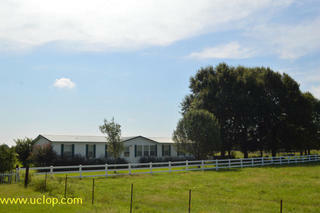 Built in 2005 this 2 bed, 2 bath 1783 sq ft heated home sits on 19 +/- acres of land in the Ruby community. 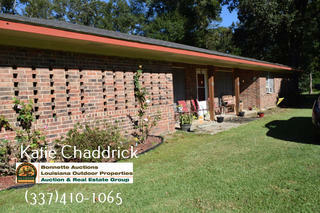 Large brick home for sale in the Bayou Chicot/Pine Prairie school district. 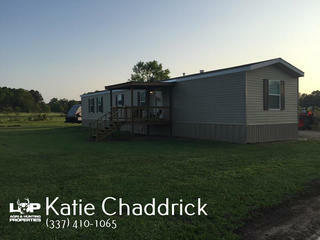 This 3 bedroom, 2 bathroom home qualifies for 100% financing and sits on almost four total acres and has a 2 car garage. Located at 108 Squealer Lane, off of Childress Rd., near Grayson, La., this 120 acres and camp is private and secluded yet convenient to U.S. Hwy 165 for great access.